With an area of 1,700 hectares, eight times the size of Monaco, Vilamoura is also one of the Algarve’s largest leisure developments and one of Portugal’s most important travel destinations. Well known to the European jet set, Vilamoura has five championship golf courses, including the Portuguese Masters course, an international equestrian centre, an internationally recognized tennis academy, numerous and varied water sport facilities, 25.7km´s of cycle paths, a vibrant mix of restaurants, lounges, bars, fashionable nightclubs, a casino and of course the giant marina which can berth up to 875 yachts. One of the advantages for beach lovers living or holidaying in or around Vilamoura is the fact that unlike the West and East, there are numerous accesses to the magnificent golden beaches with nearly all having parking facilities immediately adjacent to the beaches. In autumn 2015 American equity firm Lone Star Funds announced a massive €1 billion development project representing one of the largest real estate developments in Portugal and providing strong backing for the Portuguese economy and the Algarve region. The new plan has promised around 700,000 square metres of development to the west of Vilamoura Marina, and the building of some 5,000 residential and holiday properties. The plan for Vilamoura will see the resort greatly improved with the marina increasing space for up to 1,000 vessels including giant super yachts turning it into one of the leading holiday destinations in Europe. The first announced construction project is now well underway with phase 2 of the LÓrangerie Development in full swing. Lone Star Funds development has started to drive thousands of direct and indirect jobs in construction, services, retail, etc ‎and will continue to do so over the coming five to seven years. Although we are seeing a healthy revival in property sales in Vilamoura, the surrounding areas in the immediate vicinity are continuing to enjoy their fair share of property sales success. 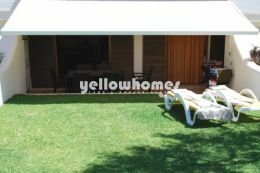 The areas such as Boliqueime, Alfontes, Tenoca, Benfarras and Vale Judeu offer a much more laid back approach to living that has great appeal for many Europeans. 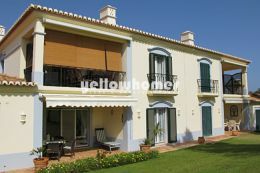 These areas are considerably quieter than places like Vilamoura boasting their own more traditional Portuguese restaurants, small cafes and bars whilst offering properties ranging from small cosy apartments to established townhouses and from character filled farm houses to top specification and brand new villas. Being in elevated positions, many of the properties for sale take advantage of the stunning country and sea views – a huge pull for prospective property purchasers. These more rural locations are close enough to Vilamoura that should the need arise for that burst of entertainment or excitement, then it just requires a quick car journey. The viewing of properties is always difficult through the summer months as most properties are occupied. However with the arrival of September, it is considerably easier to view properties currently for sale. Therefore if like thousands before you, you have been convinced to purchase a property in this little corner of paradise, then we urge you to browse our website at www.algarvepropertysearch.com to see our superb property selection. We recognise the importance of being able to offer prospective purchasers a concise yet perfectly matched selection of properties to suit all tastes and budgets. To that end, if you would prefer to make an appointment to visit our office and discuss your property requirements with a member of our team then please call us on 289 301 294.